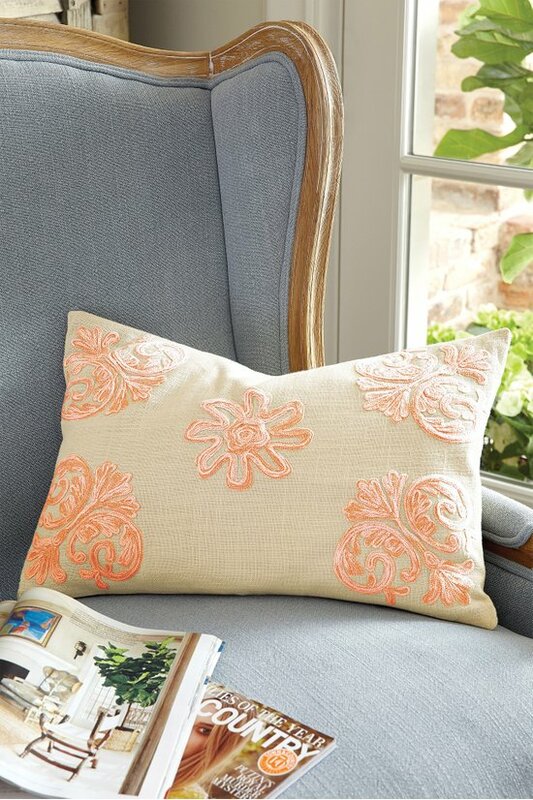 Another wonderful way to add a layer of texture and pattern to the bed, sofa or your favorite reading chair, this charming pillow is embellished crewel-embroidered florals using two-toned yarns for a soft, tweeded look. 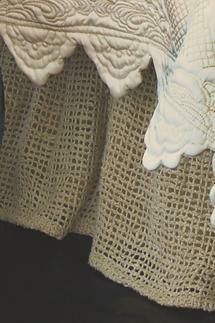 Embroidered on a natural-hued ground of woven cotton, it comes with a lofty poly insert. 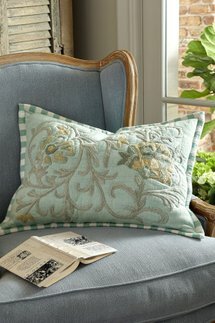 Crewel embroidered using two-toned yarns in sea-glass hues. 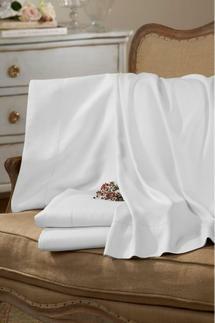 Lovely layered with our Hampshire bedding collection (sold separately).